Brant County has a rich agriculture history because of its good farmland and great climate for growing food. The Problem: disappearing farmland and rural and cultural heritage in Brant County. There has been a lot of publicity about the farmland grab and related tensions in Brant County, and in the Six Nations community. With “leapfrog development” developers and landbankers jump over the boundaries of the Ontario Greenbelt and gobble up land just outside of its boundaries. Brant County, in particular, is known as the “relief value” for the Ontario Greenbelt. As much as one fifth of Brant County’s foodland has been purchased or is being eyed for future development by developers, land bankers and the City of Brantford. There is also a mad scramble to convert farmland to gravel pits. Rural communities throughout Brant County are losing farmland and their rural heritage buildings. In recent weeks, there has been a whirl-wind of in-camera meetings between Brantford and Brant County, guided by Provincial Economic Development facilitator Paula Dill. Brantford wants more than 12,000 acres of mostly farmland in Brant County, to the west, north and east of the city boundaries. This “Land grab” or “boundary adjustment” must be settled before the beginning of 2014 (municipal election year), or it is no deal. The Solution: Food security means that we have enough food to eat. Food sovereignty means that we have enough farmland to grow food for the Brantford/Brant County communities, that we have a say in how food is grown (e.g. non-GMO, organic) and that we are not dependent upon shipping in food from California and far-away places. Food sovereignty ensures local, healthy food. The Brant Food Systems Coalition (BFSC) is dedicated to ensuring food security and food sovereignty. The BFSC is made up of conventional and organic farmers, food researchers, health professionals, representatives from local advocacy groups and food banks, and councillors from both Brant County and Brantford. The BFSC is working to ensure that food planning is a key component of the Official Plan for our area. The Langford Conservancy protects foodland and rural and cultural heritage. We aim to protect foodland as the commons, provide long-term leases to organic farmers on land that we protect, and foster the development of an organic farmers’ co-operative. Part of our fundraising involves “Saving One Farm at a Time” through the sale of community bonds, which will be available for purchase soon from our website http://langfordconservancy.wordpress.com/. In September 2012, we purchased the historic one-room Langford Schoolhouse. This summer we hosted the First Annual Langford SOS Fest to raise funds to fix up the Schoolhouse and to make it accessible. We run the Langford Schoolhouse as a community centre, hosting community events and renting it out for the community’s use. We are planning a community garden and community kitchen. The Langford Conservancy has also proposed to protect the Onondaga Community Centre and welcome any supporters for this project. LC has teamed up with Treks in the Wild to propose Voyageur canoe runs, edible wild meals and workshops on local history. Local artists have found the spot to be very attractive for drawing and painting river scenes, and for hosting workshops. Since the SOS Festival, various members of the community have come forward to support the efforts of the Langford Conservancy. Some want to provide financial support by purchasing $10,000 community bonds, while others want to help by sewing curtains, building a ramp to make the building accessible and helping with the repairs to the building. A number of local musicians have offered their support including James Gordon, Fred Eaglesmith and Garnett Rogers. James Gordon played at the SOS Fest. He is returning on Oct. 5th to perform the acclaimed new one-man musical “Stephen Harper: The Musical” at the Langford Schoolhouse, 1694 Colborne St. East, as a special benefit for the Langford Conservancy. Gordon’s new play examines our current Canadian political climate and, in particular, our Prime Minister Stephen Harper. James uses humour, political commentary, pathos, 18 original songs, spoken word, hundreds of projected images, audience participation, a puppet, and an activist’s passion “to show where we are and where we can go as a nation”. Gordon’s musical spent a week with rave response last month at the Canadian Theatre Festival in Hamilton, and debuted in the spring in James’ hometown of Guelph. James Gordon notes that “so many Canadians are feeling that their voice is not being heard under the ‘Harper Government’”. Through his musical he asks, “What can we do about this?” His inspiring play will help the audiences find out, and have a fun theatrical evening. James Gordon is a well-known singer-songwriter, with 40 albums to his credit over a thirty year international career. His current CD “Coyote’s Calling” reached #2 in February on the Canadian national roots radio airplay charts, and the album includes some of the songs from “Stephen Harper: The Musical”. His plays “Hardscrabble Road”, (about homeless and globalization issues), “Nastee´ Business”, (about the bottled water scam), and “Tryst And Snout”, (a hillbilly adaptation of A Midsummer Night’s Dream) established him as a skilled playwright with an eye for using musical theatre as a vehicle for pointed social commentary. A resident songwriter for 12 years with two CBC radio shows, “Basic Black” and Ontario Morning honed his comedy skills, and twenty years with the Canadian Folk Trio Tamarack gave him a nation-wide outlet for his music about Canada’s Heritage and Identity. Gordon has been very involved with community activist issues in Guelph, and in fact ran in the last provincial election as a candidate for MPP. Showtime on Oct. 5th is 7:30 pm and tickets are 15 dollars available at the door or online at https://stephenharperthemusical.eventbrite.ca. 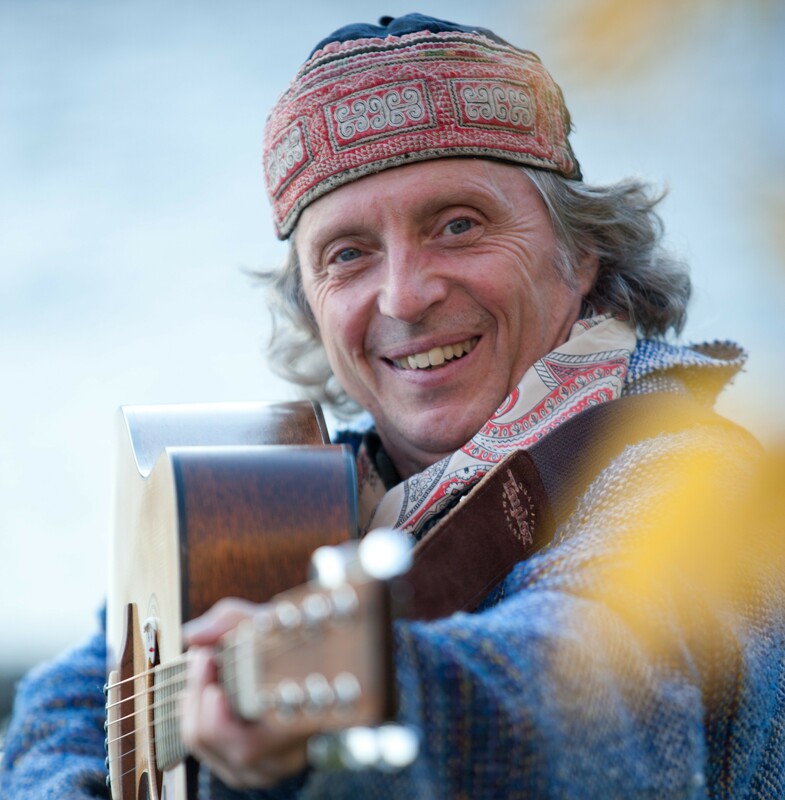 There will also be a free song writing workshop about local themes of rural identity with James Gordon that afternoon at 2 p.m. James is known for creating plays and songs that involve local members of the community. He has the ability to weave in very diverse viewpoints, and to work well with members of rural and First Nations communities. Credits for artists of two logos: Joanne Lloyd and Pat McQuinn (Members of Brant Visual Art Guild).